Campbell® is excited to announce the expansion of its Alloy Anchor Shackle product line to include 22 mid-to-large size screw-pin and bolt-type shackles. 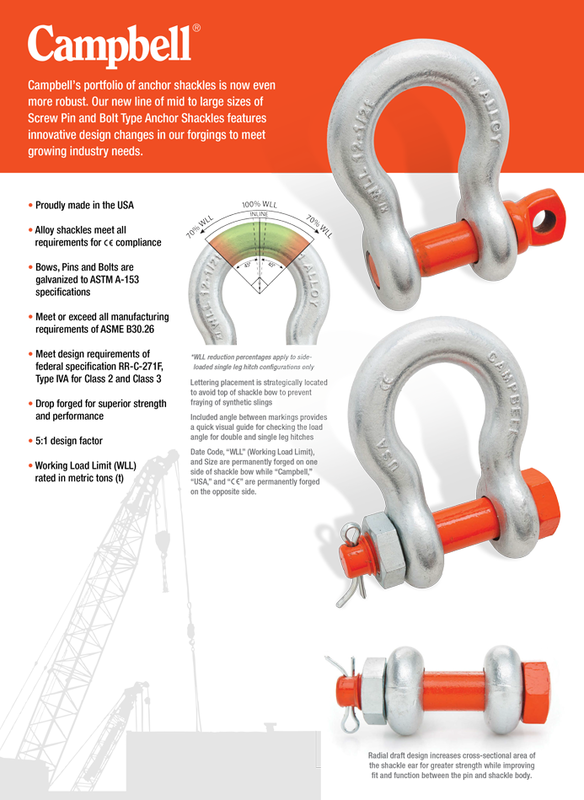 Legacy shackles have been updated with a new innovative design and more than a dozen new sizes have been added to the Campbell Alloy Shackle line. Campbell's portfolio of anchor shackles is now even more robust. Our new line of mid to large sizes of Screw Pin and Bolt Type Anchor Shackles features innovative design changes in our forgings to meet growing industry needs.